Why create my own soap? This is something I have considered off and on for some time. Frankly, I wasn't sure whether I would have time or wherewithal to create a soap base of my own. That being said, I'm not averse to taking risks or giving 110% effort, so I decided, what the heck. I spoke to a few friends in the business and asked how they got started. Stefan Vincent of The Holy Black was one of the first people I spoke to. His encouragement and words of wisdom really convinced me to give it a go. Stefan gave me a list of what I needed to buy, such as an Induction Heating Plate (never heard of this before), 12 qt pot, stainless steel spoons etc. He also shared with me something invaluable in jump starting this whole process...he advised me to read postings in Badger & Blade, as well as other forums from various artisans documenting their own shaving soap journey. I also received a book from my friend Chris Benenati, titled 'How to Make Shaving Soap: Charting Your Course to the Land of Lather' a book written by Carrie Seibert of Soap Commander. I immersed myself in this process of learning, reading, writing and watching. Every evening, I would read for hours detailing the art of soap making. I read and read, all the while taking copious notes on what I thought were important nuggets of information. I watched hours upon hours of instructional videos and picked the brains of friends in the business. I was ready to dive in! I've yet to answer the question WHY. In order to take the business to the next level, I needed to speed up the process from idea, to a tangible product. The turnaround was proving to be too long for me. I therefore decided to control my own destiny, take over the reigns and manage the entire process. 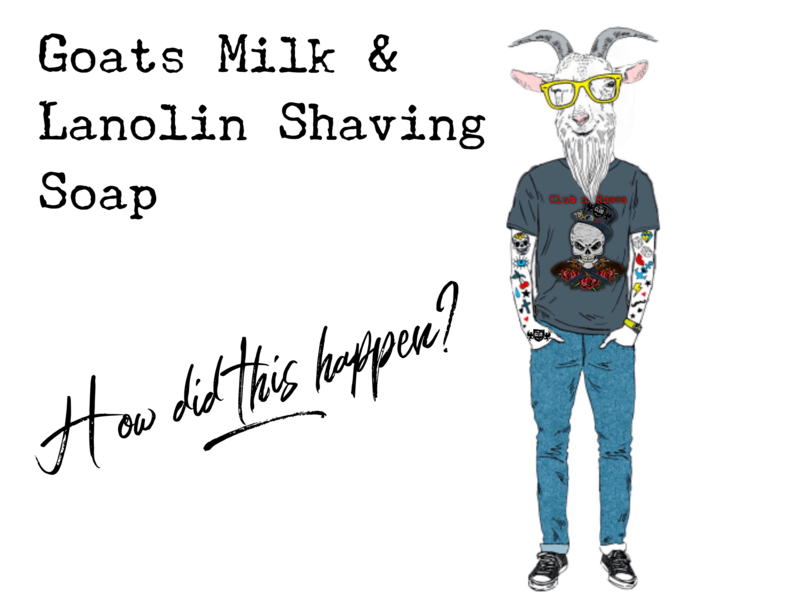 Additionally, I created Ariana & Evans to be the retail arm of The Shaving Shop. Outsourcing the soap base made it a challenge to pursue wholesaling opportunities due to costs. I just couldn't wholesale at a price point I was comfortable with, so I have yet to pursue wholesaling until I could come up with a solution. I concluded I needed to take this in-house. When I first opened The Shaving Shop, I worked with artisans on exclusives for my store. All I did initially, was approve product which I thought would be a good fit. It turns out that I had a good idea of what people like. Fast forward to The Club. I was in control of scent creation or blending of fragrance oils, as well as partnering with fragrance houses for most of my Club branded and A&E products, with few exceptions. During this process, I continued learning about fragrances, essential oils and created a network of worldwide contacts within this olfactory journey. The adventure has begun!. Anyone who knows me, knows that I don't 'sip', I dive head first and give it everything I have. I did this for this soap. I promised myself that I would not release just a good soap, as good, is not good enough. It had to be much better than good or I simply wouldn't release it. I believe the culmination of hard work and superb, detail oriented testers enabled us to create a very special soap. I'll let the market decide just how special it is. Nevertheless, I'm incredibly proud of what my wife and I have accomplished. I would be remiss if I didn't acknowledge a couple very special people. Vida Perez of Oleo Soapworks has become like family. I'm proud to be working with her on several soaps and look forward to working on several new projects. Vida would be my go to person when things would 'blow-up' . She is also one of the kindest, most generous and helpful people I have ever met in and outside this community. I would also like to thank Anthony Macri for his friendship and wisdom as well.